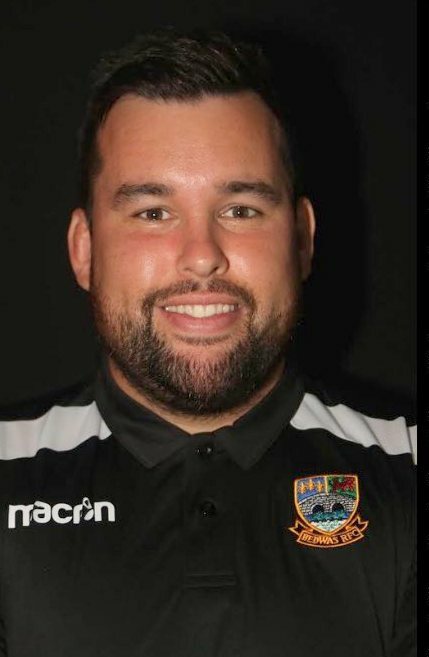 Brynley Toms and his Bedwas Rugby teammates will be in the draw for the second round of the WRU National Cup after a hard earned victory against a dogged Rhydyfelin side who showed plenty of resilience. The home side opened the scoring with a very early Penalty by David Gratton after Bedwas were Penalized at a ruck. A period of stout defense followed as the home side tried to prevent Bedwas scoring, not without cost though as a player was sinbinned for a scrum offence. However being a man down didn’t prove a disadvantage as Bedwas couldn’t get through to score. Undeterred Bedwas continue to attack and after 23 minutes and a series of Bedwas attacks referee Stephen Allsop awarded a penalty try to Bedwas and sinbinned home prop Dale Green. Again the floodgates didn’t open as the home defense stood up to the challenge and there were no further scores in the half. If stern words were spoken in the break is not recorded but Bedwas increased their lead only three minutes into the half as Joseph Scrivens broke from deep and jinked his was past several defenders before diving under the sticks. He added the conversion to increase the lead. Bedwas continued to attack and indiscipline struck the home side once again as scrum half Garyn Lucas was red carded for punching at a ruck. Bedwas replaced the starting prop forwards, full back and scrum half but it was the home side who scored next as winger Gavin Close crossed out wide for an unconverted try. Just after the hour mark Scrivens missed a relatively straightforward penalty but made amends three minutes later as Bedwas sought to kill off the game. Finally with twelve minutes to play Bedwas had some breathing space with Lewis Bowden’s pass finding Kane Teear-Bourge in space and the diminutive winger outpaced his marker to cross for a try converted by Scrivens to put the game beyond their plucky hosts.